I’m sure you have seen the online buzz about air fryers! These appliances are definitely the most popular and trendy thing happening in the kitchen this year. Maybe you are curious about what all the hype is about? When I first heard about them, I was curious as well. Why ARE people so excited about these things? I love some good fries as much as the next person, but can one unit really do more than that? How can frying anything be healthy? These appliances are not a fryer in the same way that a deep-fat fryer is. They are more like a small, self-contained convection oven. They use electrical elements to quickly heat the air, and then circulate this hot air around and through your food. This hot air cooks the food quickly, so crispy things get browned but the inside stays moist and delicious. Who Can Benefit the Most from Cooking With an Air Fryer? Should I Consider an Air Fryer? There are many reasons to use an air fryer over other cooking methods. So, how can frying something be healthy? Easy! These appliances can be used without any oil at all, or with just a tiny spritz of oil if you choose to use it. You can cook frozen fries, onion rings, wings and more, and still get really crispy results without the extra oil. Compared to using my oven, the fries from the air fryer were crispier but not dried out, and using it to make breaded zucchini wedges was even more impressive! Since they are smaller than an oven and circulate the air around with fans, they cook foods faster as well. An oven can take up to 20-30 minutes to properly preheat, whereas these fryers come to the temperature within minutes. I was really impressed that my frozen fries were perfect after 15 minutes when they take up to 45 minutes in the oven. If you need to make snacks or meals in a hurry, you will probably love this time saver. I think this is my favorite feature of an air fryer. You can do SO MUCH with it! Yes, it fries really well compared to an oven. But it also can bake (even cakes), broil, roast, grill and stir fry! Feel like chicken and snow peas for dinner? Easy to make with one of these. You can cook fresh and frozen foods and even reheat leftovers in them. I have done meats, fish, casseroles, sandwiches and a lot of different veggies in mine. Some fryers come with extra features, like a rotisserie rack, grill pan or elevated cooking rack. Dividable baskets mean you can cook several things at the same time as well. It is impressive that a single unit can cook so many things in so many ways. Depending on the size of your fryer, there are a lot of different accessories you can buy. Cake and pizza pans, kabob skewers and steamer inserts are just a few of the accessories I have seen available. There are many recipe books for sale, and online recipes are easy to find too. If you have a small kitchen, or live in a dorm room or shared housing, you might appreciate this benefit. Most of these units are about the size of a coffee maker. They don’t take up too much room on the counter, and they are usually easy to store away or move. I appreciate the fact that they can replace other appliances like a toaster oven, and some folks use them in kitchenettes or RVs that lack a real oven. They are very handy to have in an office break room too! Most fryers are really easy to use- just select the temperature and the cooking time, add food and shake a few times while cooking. No need to fuss or stir like using the stove top. The baskets make shaking your food simple and fast as well, and the unit doesn’t lose a lot of heat when you open it. So feel free to peek while cooking if you want! Unlike an oven, you won’t be slowing things down if you do. One part of cooking that most of us don’t enjoy is the clean up. 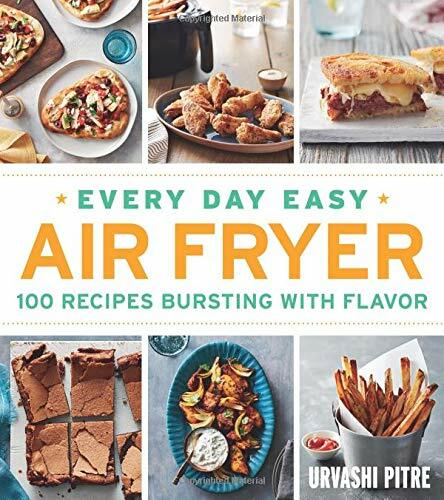 With an air fryer, you just have a basket and pan to clean, and many are even dishwasher safe. With non-stick coated parts, food usually isn’t stuck to the pan and instead slides right off onto your plate. It takes just a few minutes to wash up after using. This inspires me to cook at home more often because I don’t dread the clean up! These fryers are more efficient that using an oven, and they won’t heat up you house either. I’ve been using mine during a heat wave, and I love that my kitchen isn’t hot while I’m using it. If you are trying to keep your house cool during the summer, or are worried about your electric bill, then you will be impressed with how efficient these units are. Anyone can benefit from using an air fryer, but it is really perfect for a few groups especially. Need a quick after-school snack? Running late but the kids are clamoring for dinner? Just toss some fries and nuggets in one of these and have dinner ready in about 15 minutes! Parents rave about how quickly they prepare food and how easy they are to clean up. It takes less time than having a pizza delivered! These are a great options for seniors who just don’t feel like tending a hot stove or prepping a lot of ingredients. You can use frozen meats, pre cut vegetables and season the food to your individual tastes. They are so easy to use and won’t strain your hands, and can make everything from snacks to a full meal. With the easy clean up, you won’t mind cooking fresh foods on a regular basis. I would have loved to have one of these in my dorm room. The ultimate snack-maker! When it is 1am and you are busy writing a term paper, just toss in some wings or fries, or make a grilled sandwich. Having an air fryer might make you the most popular person in your dorm. Never worry about what time the Mess Hall closes again! It can be hard to get motivated to cook when you live on your own. It just doesn’t seem worth it to heat up the oven or spend a lot of time cutting things up, just to make a meal for one. With an air fryer, you can make a small amount of food perfect for a single serving in just a few minutes. Eat healthier and save money by not eating out all the time! A fryer is much more useful than a microwave and makes much tastier food too. This is definitely the appliance for those who don’t like to cook. No need to spend a lot of time defrosting, prepping ingredients or mixing your foods. You can use it with frozen meats like chicken wings, ribeye steaks and even frozen pizza. Make fries, onion rings, potato tots and nuggets in minutes. You can take a pack of pre cut veggies and make a quick stir fry. Grilled cheese sandwich sound good? Go for it. Easy to use and clean, this fryer will make you not hate the kitchen as much. 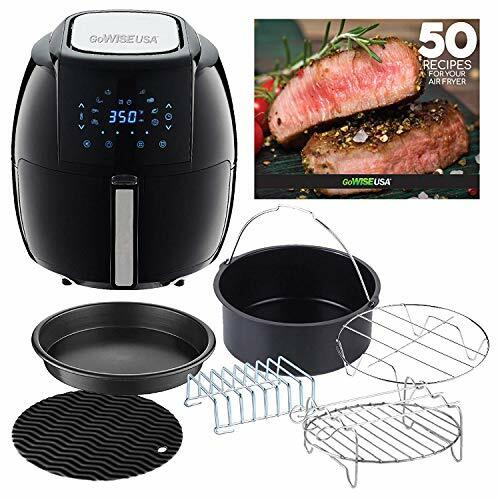 If you are intrigued by the benefits I have mentioned, then you should consider getting an air fryer. They are perfect for small kitchens, dorm rooms and offices, and make cooking healthy meals fast and easy. There are units in every size, from single-person all the way up to large-family, and they usually cost anywhere from $60-400. You can find the perfect unit for your needs and get cooking the same night. You will never look at frozen fries the same way again!